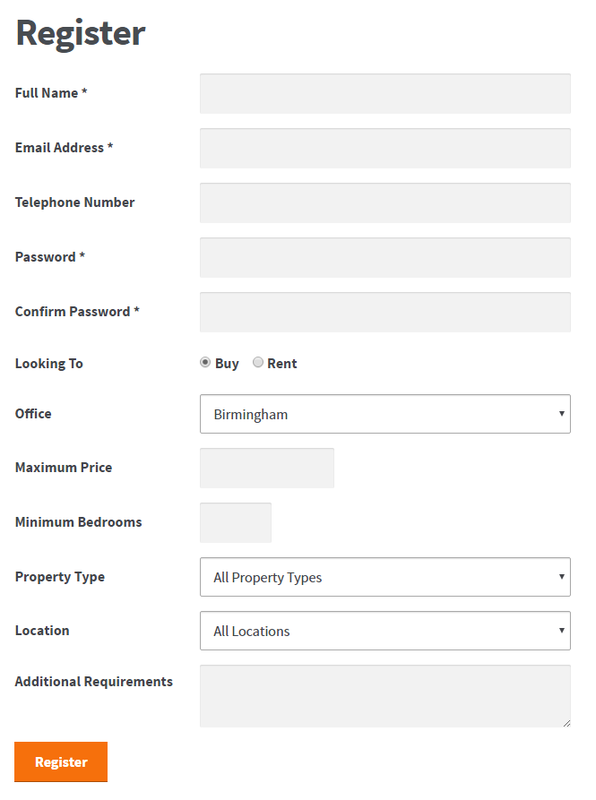 Within Property Hive your applicants will be stored in their own designated area allowing you to view and edit their details. Add the shortcode [applicant_registration_form] anywhere on your website and applicants will have the ability to register themselves through the frontend of your WordPress website. 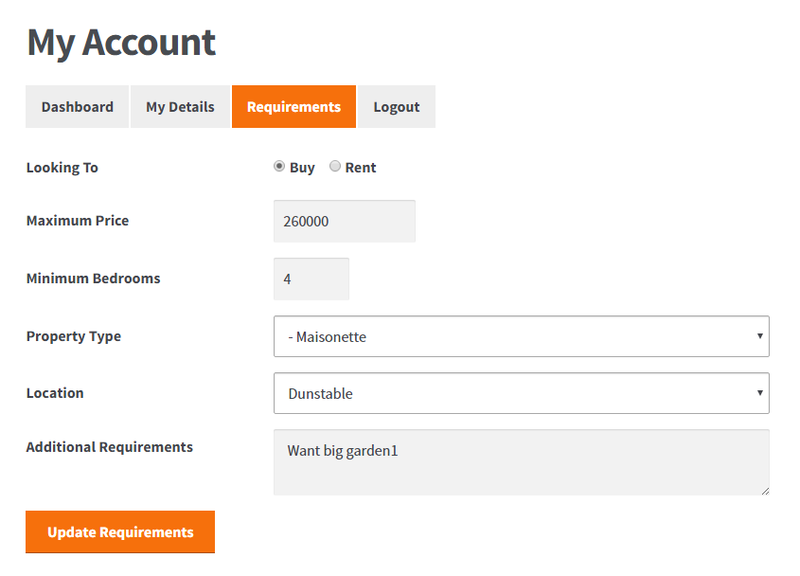 If you allow applicants to create an account when registering, they’ll be able to login at anytime to manage their contact details and requirements using their easy-to-use account area. 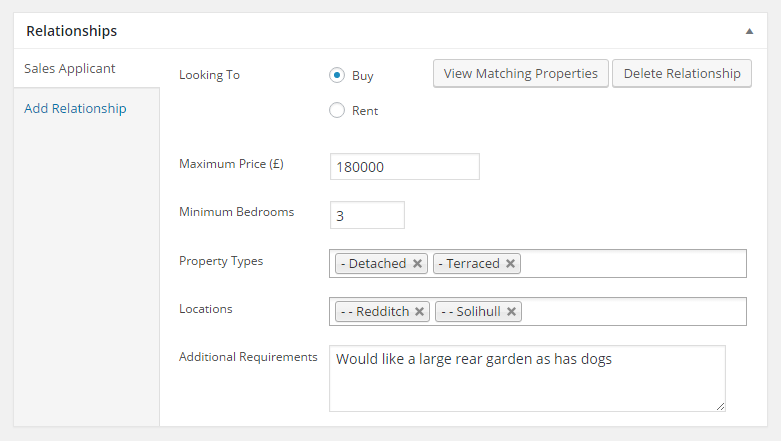 You’ll also be able to enter each applicants requirements yourself through WordPress, including information such as price, bedrooms, preferred locations and property types. Once applicants have been qualified and their requirements taken, you’ll be able to quickly view properties that are suitable for them. 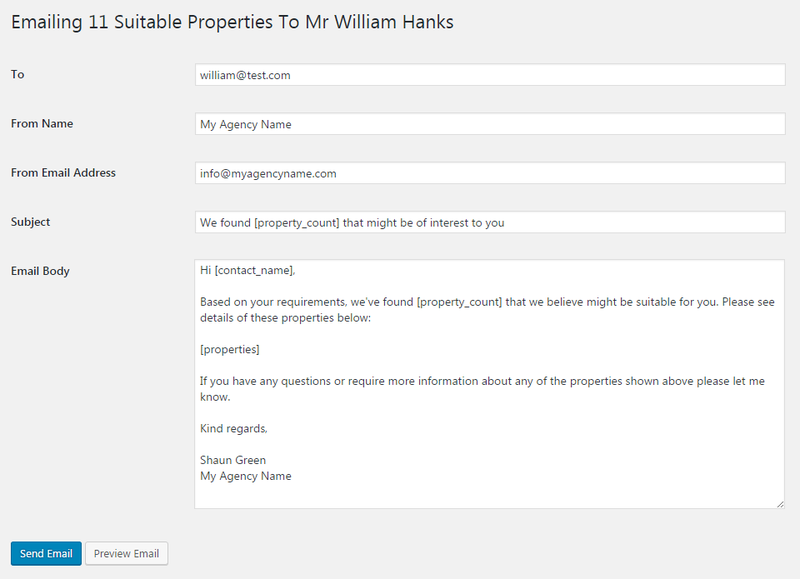 Working down the list you choose which properties are not suitable, or alternatively choose which ones you wish to email to the applicant. 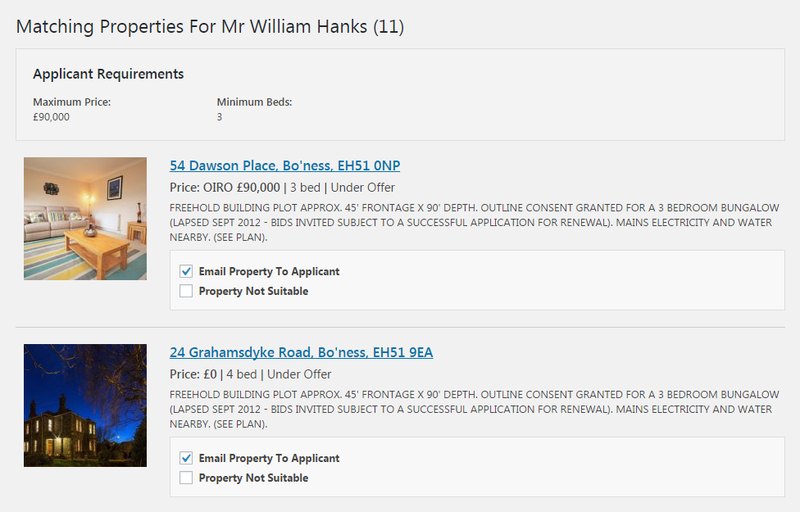 Once you’ve chosen the properties that the applicant might be interested in, you can then email these out through Property Hive. You have full control over the email template and the content included within it, as well as the ability to preview the email before it is sent. 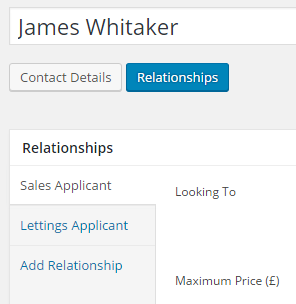 You can also enable auto-matching meaning any properties that come onto the market are automatically emailed out to applicants if the feature is enabled. We also maintain a full log of emails sent so you can go back at any time and view the contents of any emails sent. Sometimes potential buyers and renters are looking for multiple types of property at once. We can support this by allowing you to have multiple sets of requirements per contact. Property Hive is free, open-source and available for download on the WordPress plugin respository for use with your next estate agency website. If you want to contribute you can also fork the project on GitHub.